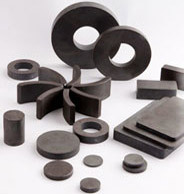 Alnico magnets (Cast AlNiCo Magnet) are made primarily from aluminum, nickel, cobalt, copper, iron and sometimes titanium. 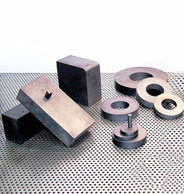 AlNiCo Magnets are two different manufacturing process for Alnico: Cast AlNiCo Magnet and Sintered Alnico Magnet. 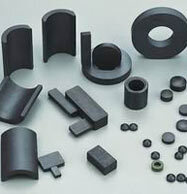 Cast Alnico Magnet can be made into intricate and complex shapes, which is not possible with other magnetic materials. It is high magnetic flux density, resistance to corrosion and excellent temperature stability, the maximum working temperature up to 600℃. 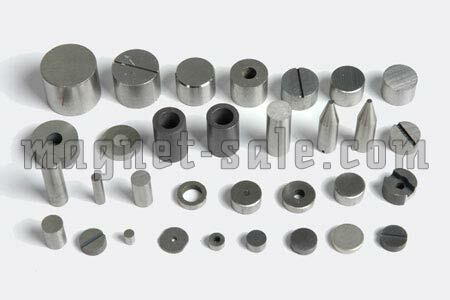 Cast Alnico magnet is widely used in all kinds of sensors and meters, electronics, instruments, medical instruments, teaching, automobile, aviation, martial and other applications. 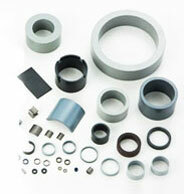 We are professional in producing magnetic materials, we can supplier all kind of magnets. We are sure that our products are the best quality with the best service and reasonable price in the market. © 2011 Magnet-sale.com All right reserved.